The Vuze XR Dual VR Camera from HumanEyes Technologies was designed to give everyone the power to create and share immersive experiences. 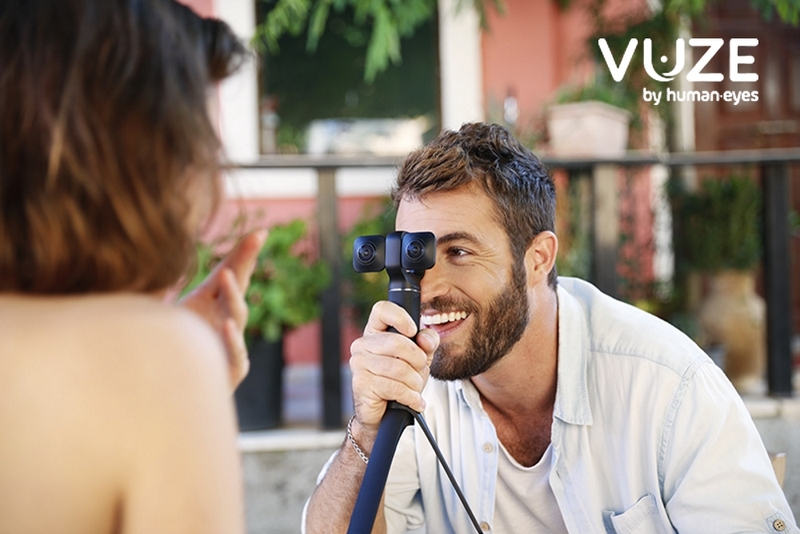 With the touch of a button, the Vuze XR transforms from a 2D 360° camera to a 3D VR 180° camera, enabling content creators to spontaneously tell any story, from every angle. 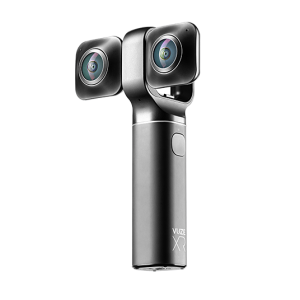 The Vuze XR is built to capture, create and share both high-resolution photos and full motion video, in either 5.7K 360° or VR 180° formats. 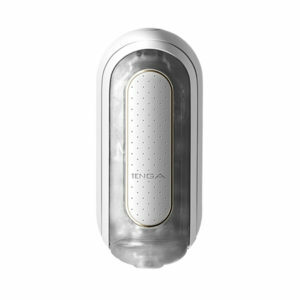 The unique dual-camera design is portable, simple-to-use and seamlessly combines two advanced capture systems into one pocketable device, giving adult content producers, social media enthusiasts, world travelers, adventure seekers and creators of all types the power and convenience to record or share live to mobile phones, computers and VR headsets alike. “The Vuze XR Dual VR Camera is a must-have for anyone with a story or special moment to share, from consumers to prosumers. With powerful 360° and VR 180° 5.7K camera technology built in, along with instant sharing and a live streaming mode, anyone can enjoy the freedom of shooting their story, the way they want,” said Shahar Bin-Nun, CEO of HumanEyes Technologies. 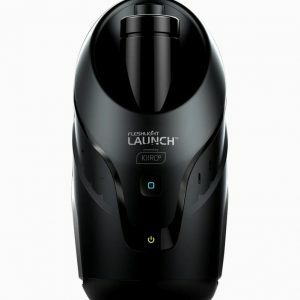 Per a recent update, the Vuze XR now offers even greater compatibility by allowing users to seamlessly stream and download their captured experiences directly to the Oculus Go and other leading wireless VR headsets using DLNA technology, an industry defined standard that acts as a bridge between your devices. Activating a clever DLNA sever inside the camera, Vuze XR provides a smooth, seamless 4K experience with Oculus Go headsets and other DLNA-compliant systems.  Users can capture 3D 180⁰ or 2D 360⁰ H.264 format videos with a bit rate up to 120 Mb/sec. at resolutions of 5.7K@30 fps, 4K@60fps and 4K@30fps. Photo resolutions of 18MP thanks to optics featuring 2 Sony 12MP IMX-378 sensors and 2 F/2.4 210⁰ fisheye lenses. The Vuze XR Dual VR Camera is also lightweight and easy to use with a weight of just 212 grams.